College-Bound Student Athlete Guide - A comprehensive guide to the NCAA and the process to become certified. NCAA Eligibility Registration Checklist - List of items to help you prepare for the registration process with the NCAA Eligibility Center. 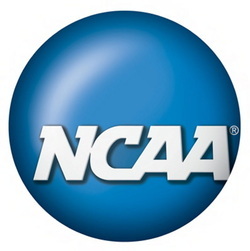 NCAA Division I and II Quick Reference Sheet - Division I and II requirements. www.ncaa.org/student-athletes/future - The website to register and become certified with the NCAA. www.2point3.ncaa.org - Reference website for the NCAA 2.3 GPA requirement for Division I athletics. NCAA Division I and II Course Worksheet - Worksheet designed to help student athletes monitor their progress and map their way to meeting the NCAA academic requirements.